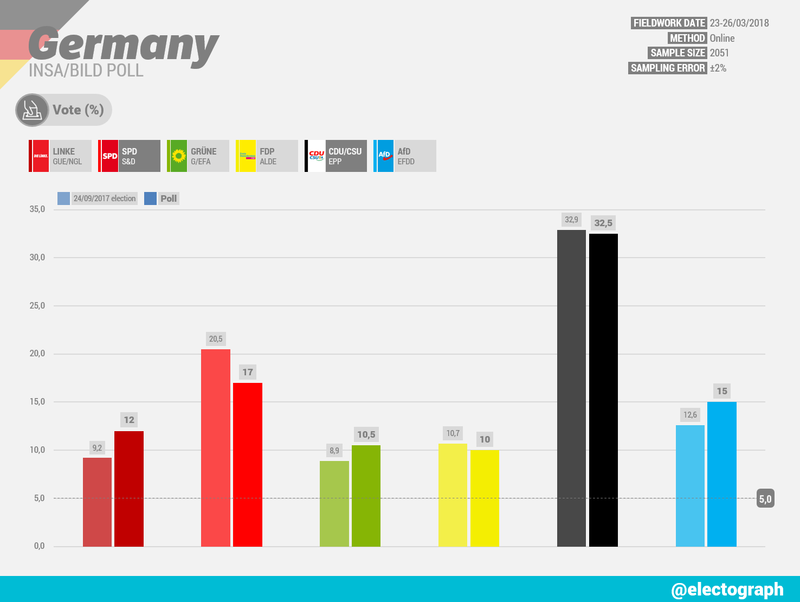 Latest INSA poll for Bild shows very little changes in comparison with last week. The CDU/CSU is 0.5 pp up to the detriment of the Social Democratic Party. La última encuesta de INSA para Bild muestra muy pocos cambios respecto a la semana pasada. La CDU/CSU sube medio punto a costa del Partido Socialdemócrata.